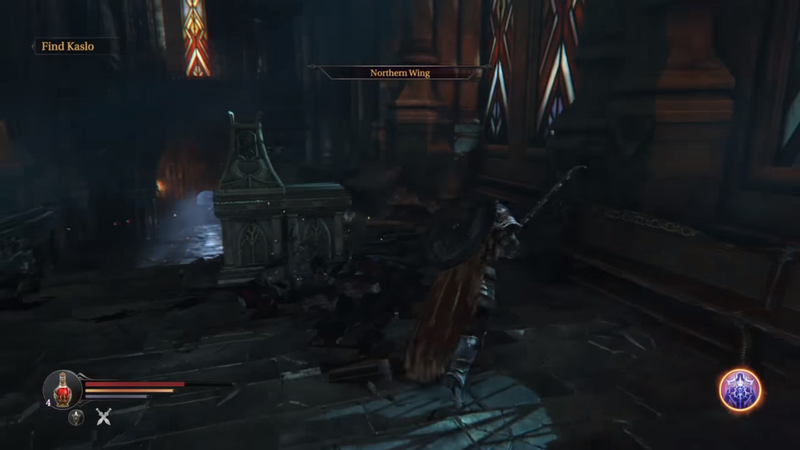 Abandoned Range is a location in Lords of the Fallen. Found after exiting from the Panorama, the Abandoned Range is filled with Rhogar and their demon kin. With Deceptors roaming the area and a Rhogar Tyrant guarding the exit to the Sacred Hallways, the player will want to save at the nearest checkpoint hidden in a small chasm before marching forward.